We have discovered a little trick in iOS 6 that while it might be called as a bug, the fact is that we had better be able to enter in the folder applications Kiosk that have crippled many. To achieve this, it is necessary to have jailbreak so it works on any device with iOS 6, including the iPhone 5. We are located on the third page of the springboard, we press the Home button once, and immediately press and retain the press on the icon you want to move. We keep pressing until the springboard is placed on the first page because pressing the Home button. And immediately release the finger, slip into the second page of the springboard. If steps have been performed correctly and quickly enough, the icons will be tuning. You should now see the application you selected in step three in Kiosk. If the icons do not tremble to get to step six, you will need to repeat the process again. At first requires a little practice but after several attempts, is achieved easily. 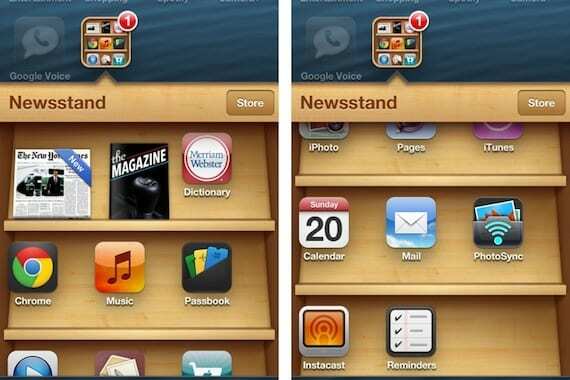 The applications that we insert into the Newsstand folder can run normally. The only fault I have this trick is that if you restart your iPhone, applications made ​​to disappear Kiosk and touch again to repeat the process. Article Entering into kiosk applications without Jailbreak was originally published in News iPhone .